When I was younger I used to love the Conan The Barbarian comic books. I especially liked looking at the covers for those books, which generally showed the ripped Conan fighting some new frightening menace. 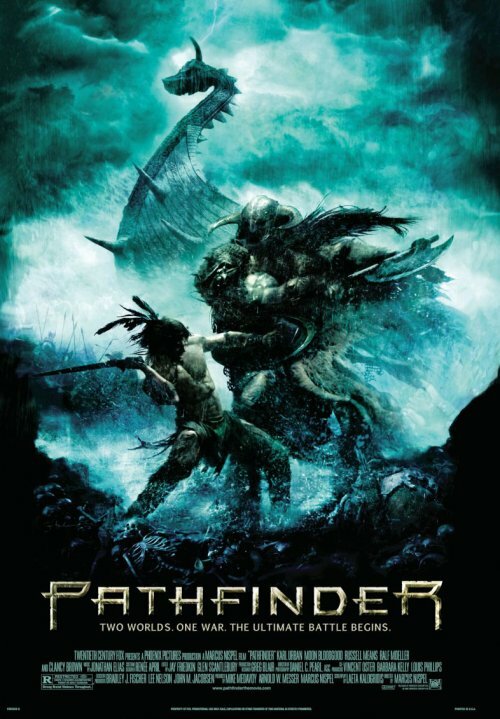 This poster for Pathfinder reminds me a lot of those covers, and of the covers of the Conan books I went on to read when I was a little older. Perhaps because of that, I really like it. Not sure I would be willing to hang it up my wall. But that is mostly because I’m a little afraid other people might find it a little strange to see a poster like in the bedroom of a man my age. Gotta keep those walls looking mature and dignified! Now, does it work as a promotion for the movie? I guess it could. But the thing is, this is the kind of poster that calls for an expensive and high profile movie behind it. And the rest of the film’s marketing makes clear that this is not an expensive and high profile movie. I think that this mismatch keeps the poster from adding much to the promotion of the film. It’s still nice to look at tough. 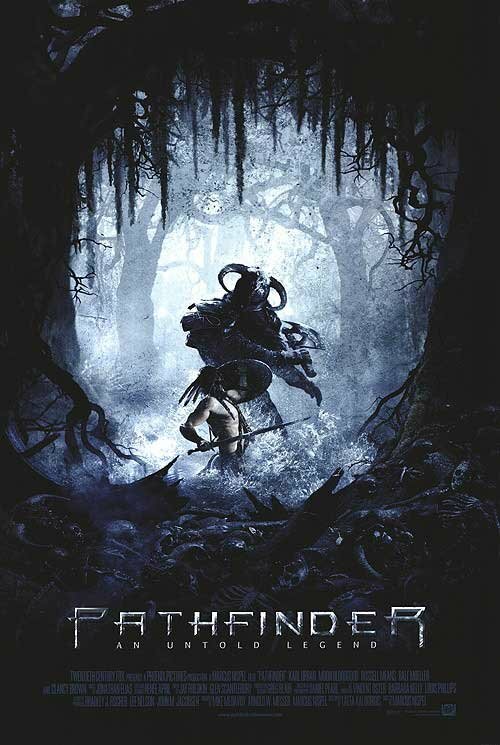 And the other poster is not bad either.